I have forgotten my TouchCopy password. Select to "Activate TouchCopy" and enter your activation code. 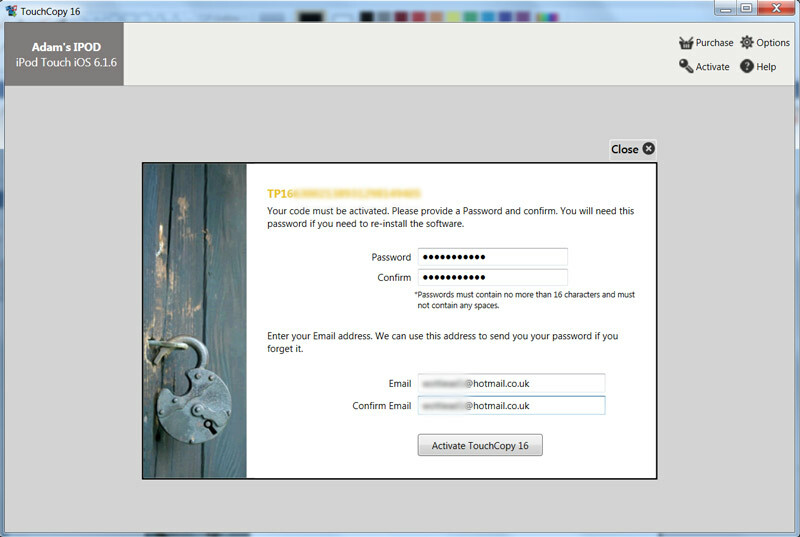 Underneath where TouchCopy asks for your current password, will be the option to have your password emailed to you. Please remember that passwords are case sensitive. Check your junk/spam email folders if you fail to receive an email about your password. Choose a brand new, never previously used password which is less than 16 characters long. When you initially activated TouchCopy on your computer, you will have provided a password to activate the software and an email address so that your password can be sent to you automatically should you forget it. You can request this password from within the program itself when activating your software. Please check your spam email folders if you fail to receive an email about your password. If you changed your email address, please contact us and we can update your email address on file so that you can receive your password automatically in the future. If your activation code starts with TCP9, TP11, TM11, please note that your activation details will not work with TouchCopy 16. If you wish to use TouchCopy 16, you'll need an activation code beginning with TC16, TM16, RP16 or RM16. If you do not wish to purchase TouchCopy 16, or upgrade to TouchCopy 16, you can still download the version of TouchCopy for which your registration code is valid for. You can determine which version of TouchCopy you should download, by using our activation code look-up service. If you cannot find your original registration email, please contact our customer support team, who may be able to help you find your purchase record.